If you are looking for a cool way to upgrade the aesthetics of your vehicle, but also keep the sun rays from getting into your car’s cabin, you might want to consider installing tinted glass car windows on your ride. Of course, whenever you seek to upgrade your car, either with a style-boosting accessory or with a brand new car part, you must do your homework first, and do some exploring about the products available on the market. Their reviews, cost, quality, and reliability. 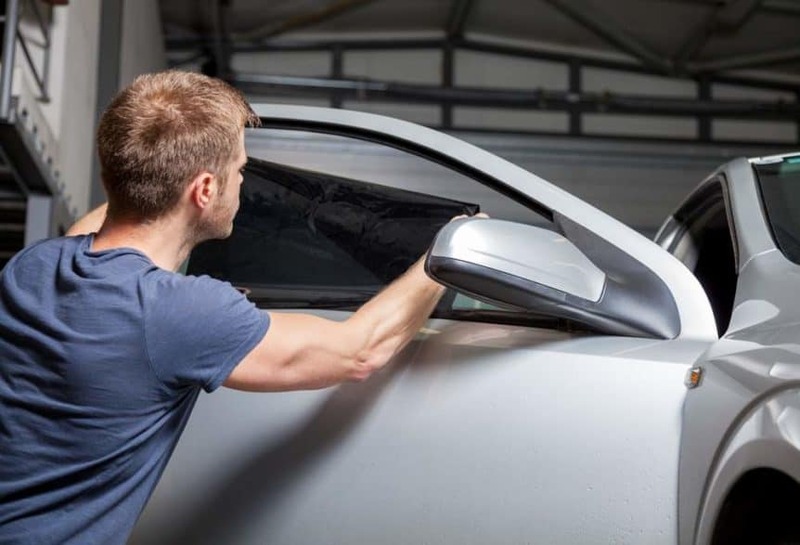 In this particular scenario, the new car part is car window tint, and we at Phoenix Towing Service are here to give you some window tinting tips and pointers, in order to keep your car legal, your windows safe, and the overall look of your ride top-notch. When it comes to window tint care, the best solution is to choose a top-shelf product. Car windows are a pretty important part of your cabin, so this is not where you would want to pinch pennies. Not only will choosing and installing high-quality film last much longer and be more reliable than some cheap ones, but it will also block dangerous UV rays more consistently. Plus, they are much easier to install. Be mindful of the laws regarding tinted glass car windows in your state/country. For example, most US states require that your front windows let in anywhere from 35% to 50% of light, whereas rear passenger and your back window face a bit looser restrictions. However, as safety should be your first priority when choosing the percentage of light that will be able to go through your windows, be sure to opt for the ones that won’t hinder your vision completely, even if the car window tint laws in your state are not too strict. Being able to see other vehicles, pedestrians and cyclists that partake in traffic around you is a must, especially at night when visibility drops significantly. It is important to use effective and safe cleaning products for your tinted windows, and when we say safe, we mean products that don’t contain ammonia as this substance is capable of easily stripping film-like materials from almost any type of glass. It is suggested that you use citrus- or vinegar-based cleaning products that are specifically made for cleaning tinted windows. Also be sure not to use cleaning tools that are able to scratch or chip the tint. Spray your cleaning products lightly on your car windows. Use a microfiber cloth or a soft cotton one to gently wipe your windows (try turning your cloth regularly so you clean more efficiently). Spray on another layer of the cleaner every time you use up the previous one. Use a soft rubber squeegee (or similar product) and move it horizontally from top to bottom of your windows, until they are dry. Use a clean dry cloth to wipe off cleaner residue if there is any. What is your experience with tinted glass car windows? Do you maybe have some useful window tinting tips regarding the installment process and/or safety and maintenance? Feel free to share them with our readers in the comments section below. Also, if you ever find yourself in the need for road assistance anywhere across Phoenix, Tempe, and Mesa, do not hesitate to get in touch with our avid teams at Phoenix Towing Service!